Study of magnolia flower. Oil on panel, 8x10 inches. 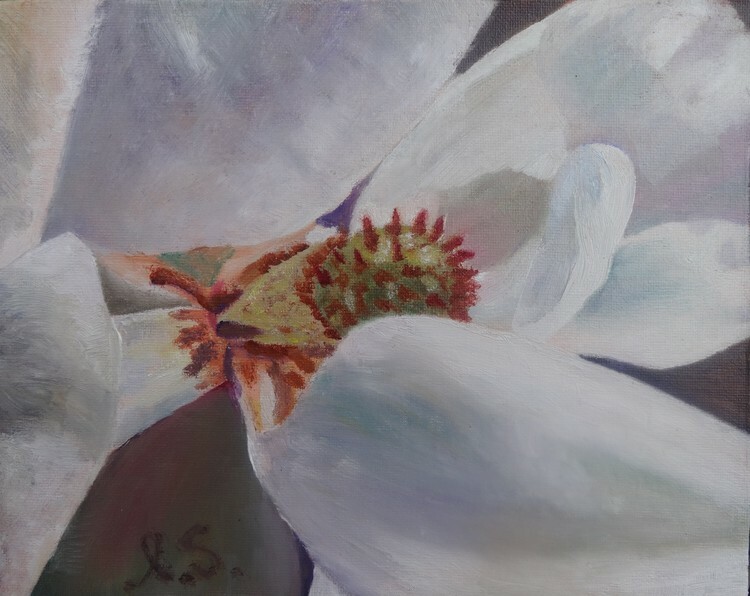 Fine Art Oil Florals Magnolia core and petals of magnolia flower light and different hues on white petals still life semi-abstract oil on panel.